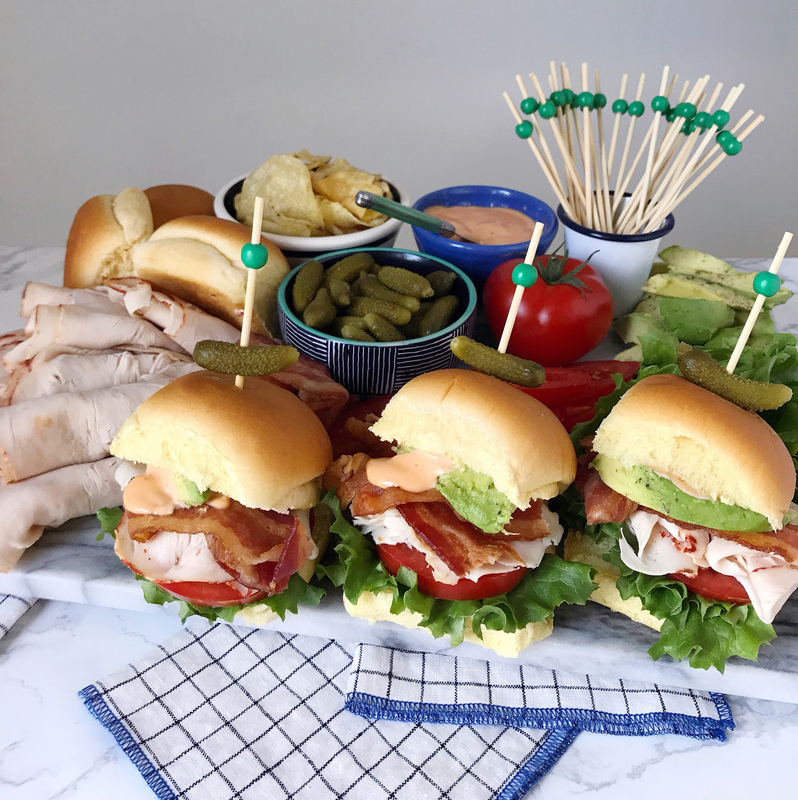 Turkey Avocado Club Sliders with Honey-Sriracha Aioli. Preheat oven to 400 degrees. 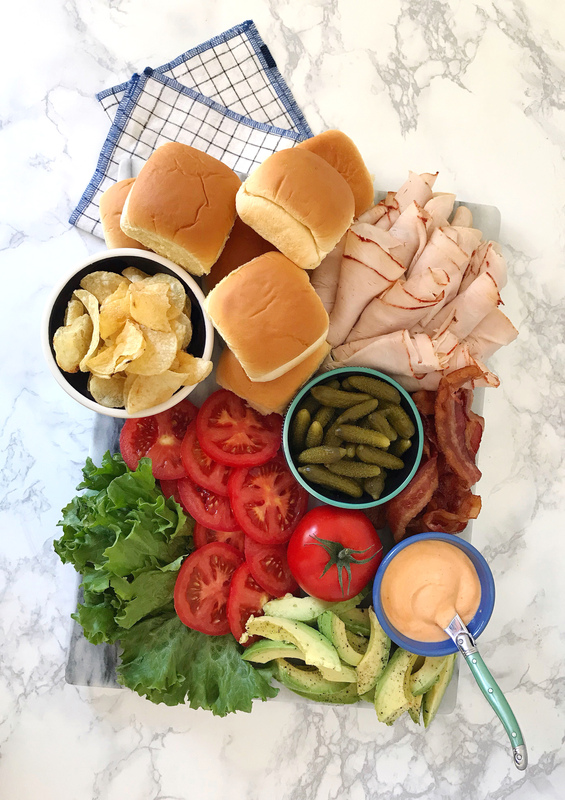 Line a rimmed baking sheet with parchment paper and arrange the slices of bacon in a single layer. Bake the bacon for about 20 minutes, until crispy and browned. Remove from oven and rest on a paper towel to absorb excess grease. While the bacon is cooking, prepare the aioli. In a bowl, combine the mayonnaise, honey, Dijon mustard, and sriracha. Taste and adjust spiciness your liking, and then set in the fridge until ready to serve. Prepare the rest of the sandwich ingredients. 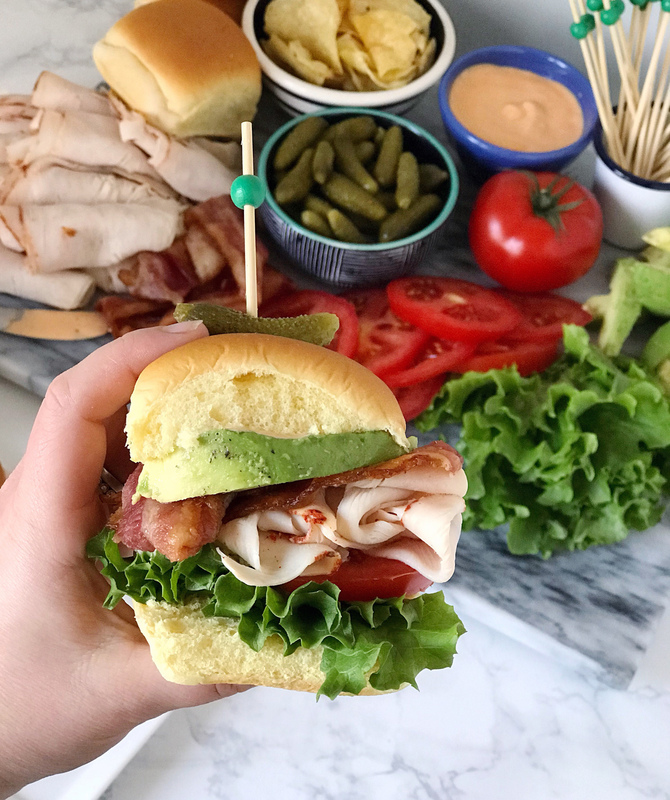 Slice avocados, tomatoes, and lettuce, and place on a serving tray with rolled turkey slices, pickles, chips, bacon, aioli, and slider buns. 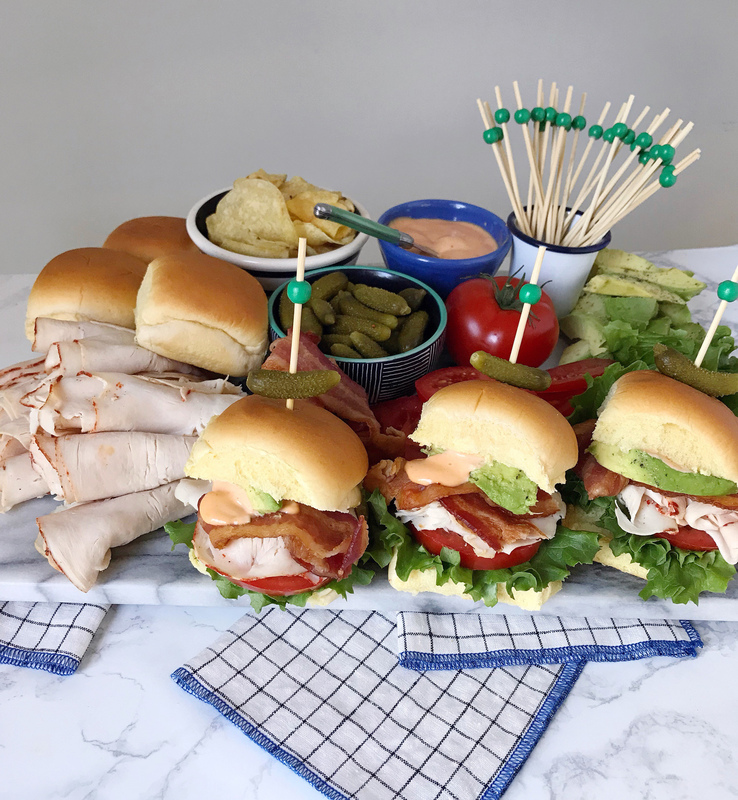 Allow guests to assemble their own layered turkey club slider sandwiches and secure with decorative toothpicks. 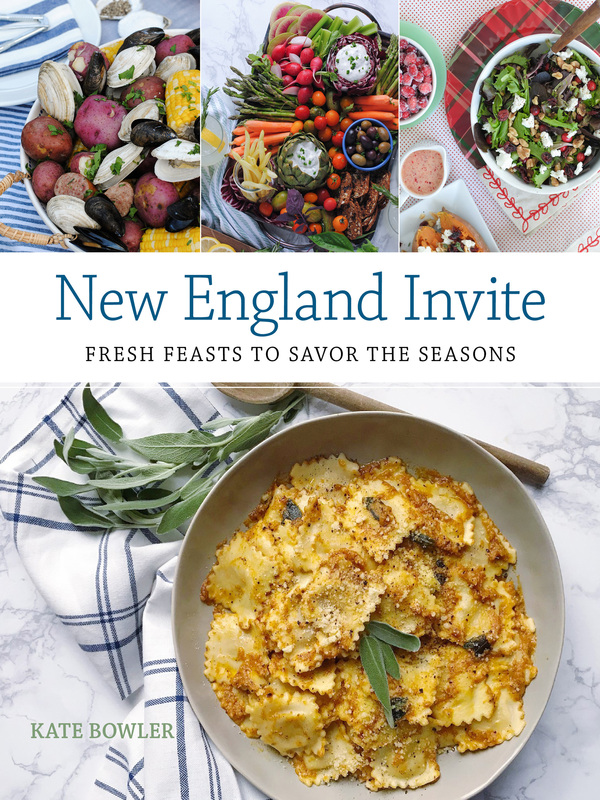 Please note: This post was created in partnership with McKenzie’s Sliced Deli Turkey (available at Shaw’s Supermarket deli counters in Massachusetts, Maine, and New Hampshire). Thank you for supporting brands that support this site.